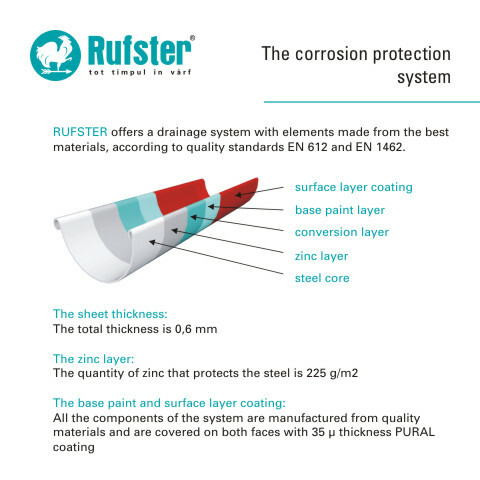 RUFSTER offers a drainage system with elements made from the best materials, according to quality standards EN 612 and EN 1462. The main components of the system are manufactured in the Production Unit and the accesories come from foreign suppliers. 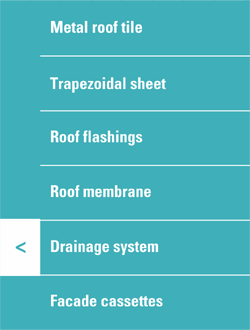 The dimensions that are available are perfectly adapted to small and medium size roofs, which are the most common. 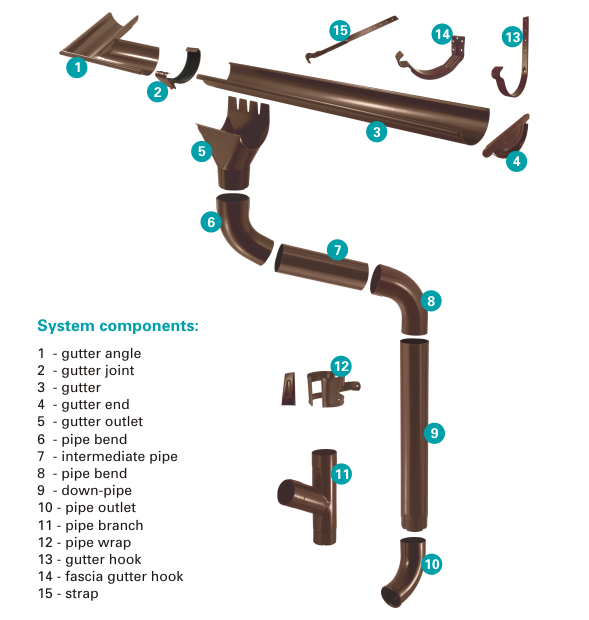 The installation of the system is an easy job and for maintenance all that is required are periodic checks and cleanings of the gutters and outlets. Products come with Warranty Certificate.